This black and white postcard shows the Winfield Junction, located in Winfield, Kansas. This railroad line was originally build by the Florence, El Dorado, & Walnut Valley Railroad Company. The railway originated in Florence, Kansas, and extended to Arkansas City, Kansas. 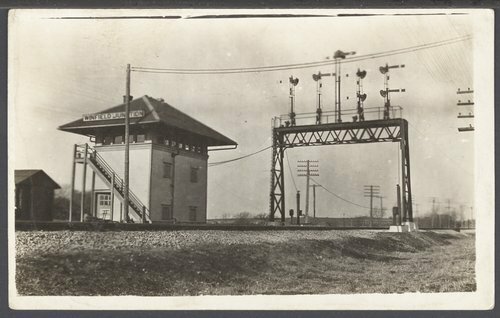 The line was leased and operated by the Atchison, Topeka, & Santa Fe Railway Company.